The familiar image of Hermetic philosophy and alchemy is the transmutation of lead into gold. This movement through the seven metals has been looked upon by philosophers as correlating to the stages of growth of the consciousness of man. 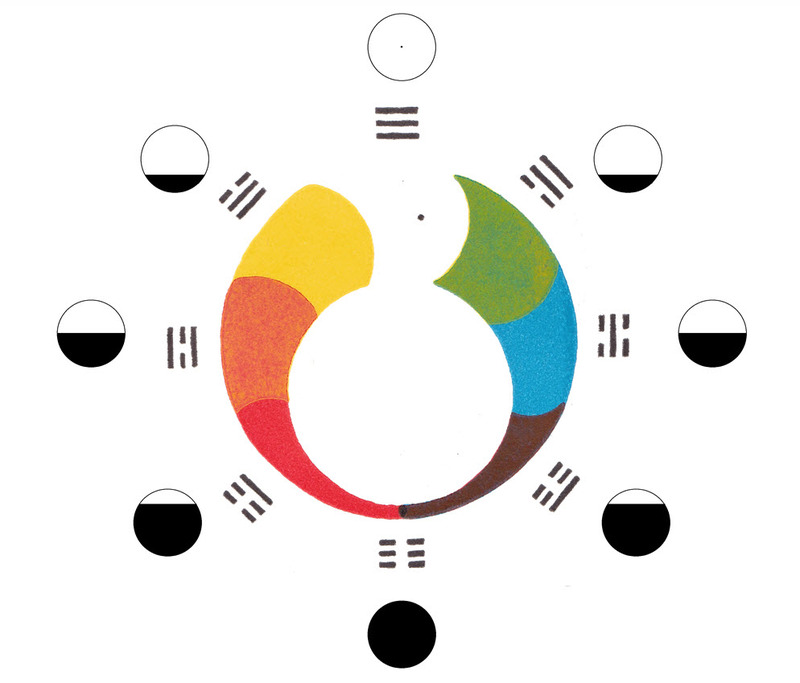 This picture of the planets and metals along with the colors of the aura, matched with the same sequence of ideas in the Trigrams of the I Ching, is the basis of Hermetic philosophy and esoteric alchemy. Today I just thought of another way of expressing that progression of consciousness. I have related the rising of consciousness to the expansion of a feeling of love for everyone. “When you take about 300 mcg of LSD you see God and you love everyone.” But this doesn’t mean that you love all people equally ~ there will always be some that you love more or less than others. But what happens is that the whole level rises, as there are fewer people whom you love less, and more people whom you love more. I have thought of graphing this pattern over that familiar Wheel of Change. If you represent a circle to include all the people you know, and then shade the portion you like less than the others, the picture seems to follow the familiar pattern with remarkable fidelity. To clarify what this diagram means, if the Aura of a person be known, that person might have a like/dislike profile similar to what is suggested in the diagrams.